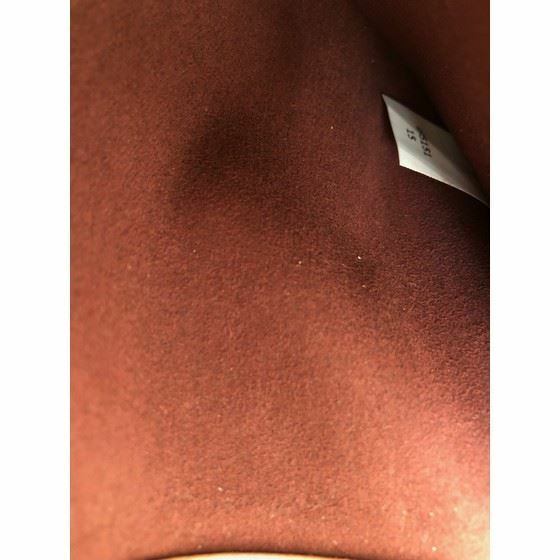 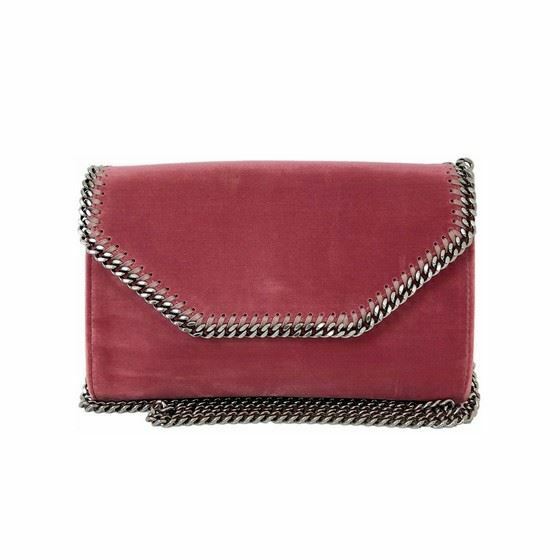 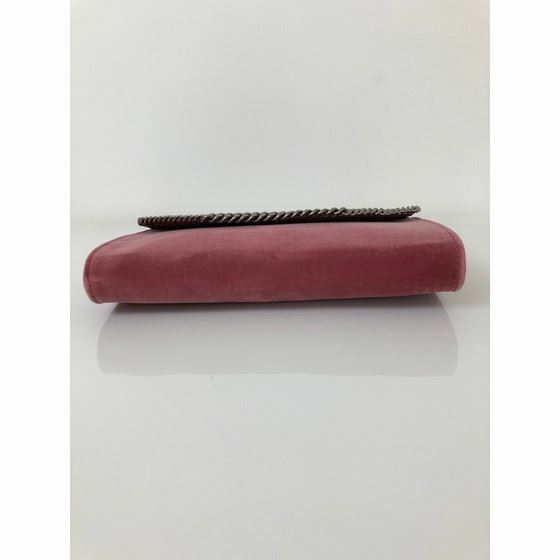 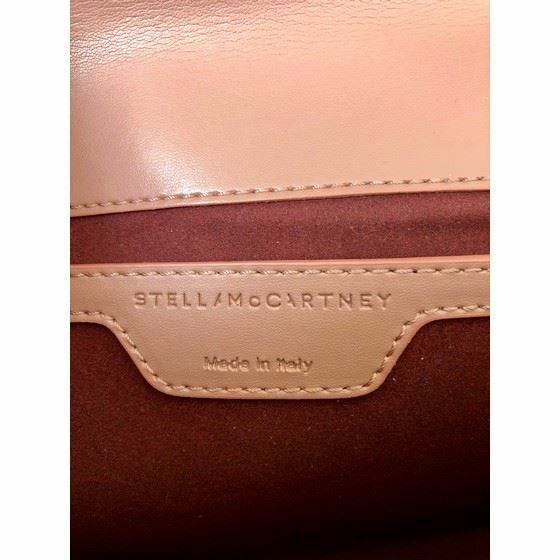 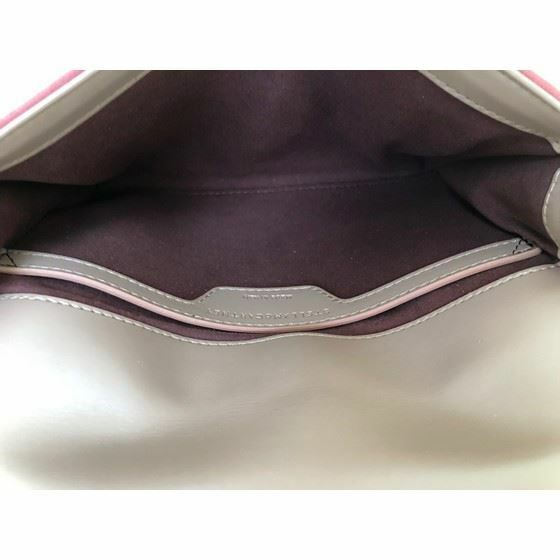 Authentic MUSTHAVE: This STELLA MCCARTNEY 'Falabella' pink velvet crossbody bag. 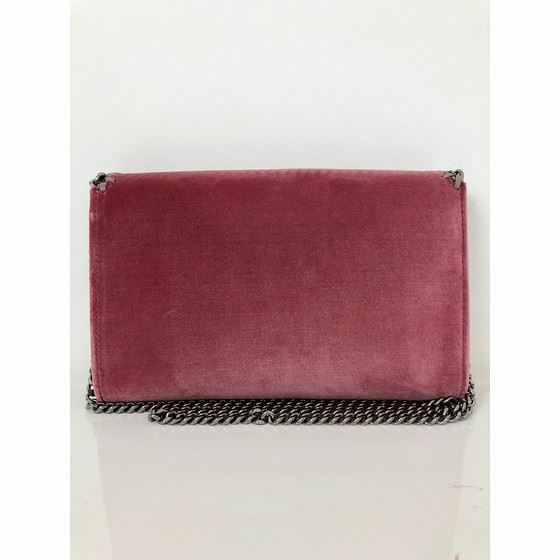 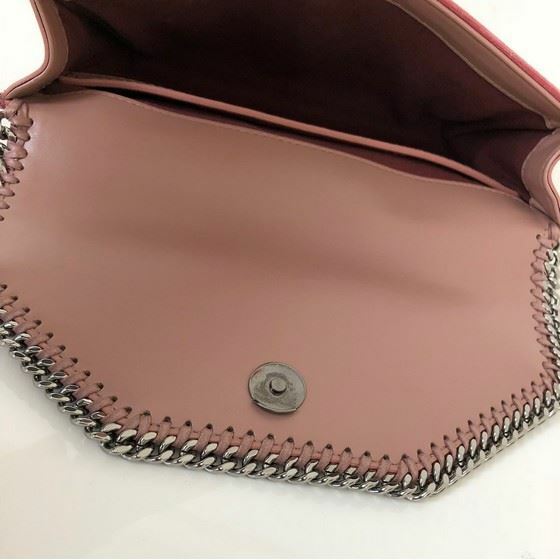 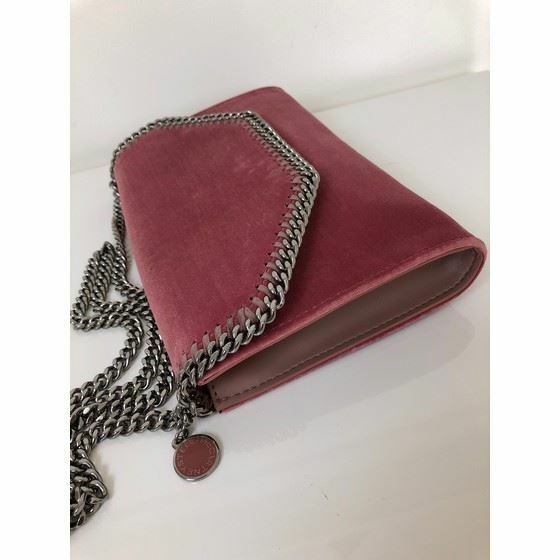 Pink velvet 'Falabella' crossbody bag from Stella McCartney featuring a foldover top with snap closure, a silver-tone chain trim, a silver-tone chain shoulder strap, a silver-tone logo plaque, an internal slip pocket, an embossed internal logo stamp and a logo printed lining. 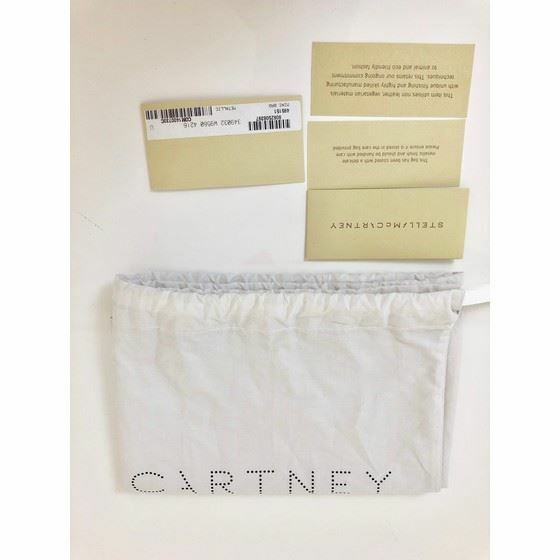 Comes with original dustbag and cards/tags. 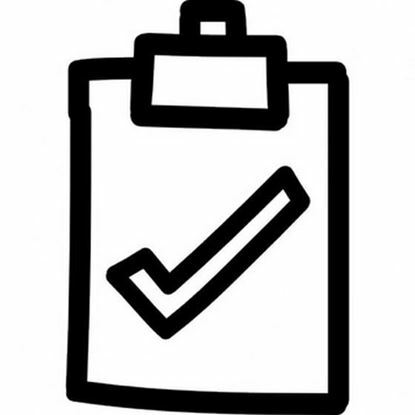 Dimensions: 21 x 14 cm.